Four Sons Takeover Thurs+Volunteer Vodka & Weekend Wines! 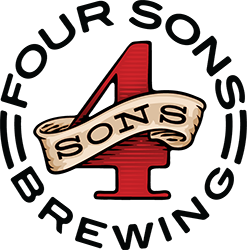 This Thursday for our Free In-Store Beer Tasting, we will be serving up delicious brews from Four Sons Brewing out of California! Founded in 2014, Four Sons Brewing truly is a family-run business. Stop by the taproom in Huntington Beach and you will most likely find Duke (aka dad) and Daune (aka mom) and the “four sons” – Deven, Derek, Drew, and Dustin – doing everything from checking equipment and sifting grain, to bottling, packaging, and filling glasses. Four Sons Brewing strives to produce excellent craft beer with a wide range of variety that appeals to the novice beer drinker and astonishes the beer expert. With a strong focus on quality and authenticity, every beer contains only natural ingredients to ensure a clean, smooth and memorable taste. Stop in between 4 & 7 pm and find your favorite! Friday Tasting with Volunteer Vodka! This Friday afternoon, the folks from Appalachian Heritage Distilling in the store to let you taste their delicious Volunteer Vodka! This gluten-free vodka is made in small batches, 8 times distilled and made with 100% non-GMO corn and a blend of red grapes. Stop in between 4 & 7p and give this delicious locally made Vodka a try! This weekend we are tasting a delicious array of Washington State wines! 100% Pinot Gris Rosé. A very cool wine. Pure, vibrant, fresh, penetrating perfume giving way to lilac, guava, tangerine, and passion fruit. Delivered on a silky palate, this Rosé has got the beat! This wine underwent a long cold fermentation in 100% stainless steel to keep all of the bright aromatics in place. A touch of residual sugar gives this wine beautiful texture, while the clean, natural acidity provides a focused attack and a crisp finish. This young and vibrant GSM-style blend leads with Grenache (44%) and follows with Syrah (27%), Mourvèdre (16%) and Cinsault. Engaging aromas of plump Marionberry, Chukar Cherry, lavender and white pepper are matched on the palate. The structure is velvelty yet juicy with a long finish of elderberry. Suggested pairings include smoked salmon with cranberry sauce and grilled portabello or anything barbecued. This wine is aromatic with rich, sweet berry notes of blueberry, boysenberry, red currant and plum. The mouthwatering acidity is nicely balanced with firm tannins and layers of bright bramble fruit. As this wine coats the palate, underlying hints of vanilla bean, peppercorn and sweet tobacco shine through. A robust finish includes chocolate and raspberry. Have a Libation delivered to you with your Delivery Dudes Food Order! We have teamed with local favorite food delivery service Delivery Dudes to offer some of our inventory of wine, spirits, and beer, including Growlers and Crowlers to go with your delicious takeout dinner! Ordering is just as easy as ordering food with a full menu of items available to have brought right to your door! See You in the Store! P.S. 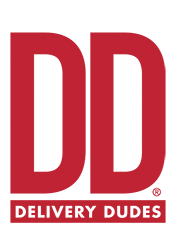 "Like" us on Facebook and follow us on Twitter and Instagram for up to the minute news about new arrivals and tastings! 12 p.m. -5 p.m., Sun. Blake's Hard Cider for Beer Thurs+Koval Distilling Fri & Weekend Wines! Tn Brew Works & Broken Shed Vodka Fri+Founders Brewing & Virginia Bay Seafood Co Sat!